In 2015, New York State settled a class-action lawsuit brought by the American Civil Liberties Union over the use of solitary confinement for prison inmates. The five-year settlement included significant reforms that the counsel for Gov. Andrew M. Cuomo at the time said could serve as a model for the country. The settlement initially brought results in reducing the number of inmates in solitary, but there are still far too many who are subject to this dehumanizing practice. As the clock winds down on the five-year settlement, there’s a renewed push for legislation in Albany to make permanent changes in the use of a practice that amounts to a form of state-condoned mental torture. A bill in the Legislature, the HALT Solitary Confinement Act, was passed by the Assembly last year, and won the support of 26 State Senate co-sponsors, but was not put to a vote by the full Senate. This year, Cuomo put forth an alternative plan in his budget initiatives for the year that would phase in more gradual reforms. Several elements of the governor’s plan don’t go far enough, but if he can negotiate with legislative leaders on a compromise package it would be a meaningful start. Making reforms to solitary confinement is a high-stakes issue that is not well-served by an all-or-nothing approach. The argument for using solitary is that it is one of the few means that corrections officials have to discipline inmates. There is a place for it, such as in isolating gang members from one another in prison. But there need to be limits on the use of solitary confinement as a disciplinary measure. The HALT Act would allow the use of what’s euphemistically called “special housing units” only for prison violations that constitute a concrete and immediate threat to safety. The governor’s plan would allow time in such units for nearly any violation. There is likely a middle ground to be found. Estimates for the number of New York inmates who are locked down in solitary on a given day range from 3,000 to 5,000. Inmates are confined to a cell no bigger than a typical elevator car, getting meager meals through a slot in the door, and kept there for up to 23 hours a day. Starved for human contact, the inmates can be heard screaming and banging on walls, like a horror movie brought to real life. In 2015, the United Nations adopted “the Mandela Rules,” which state that holding a person in solitary confinement beyond 15 days is considered torture. 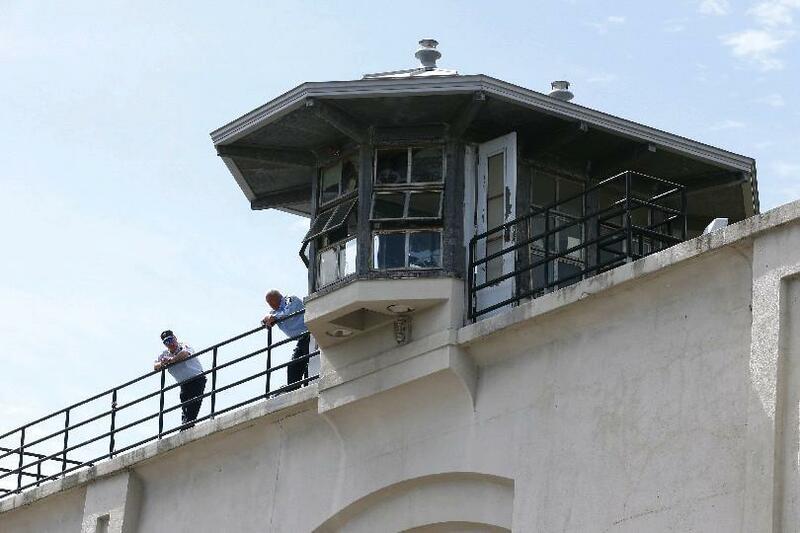 Yet in New York prisons, inmates can remain there for months, years or even decades. The use of special housing units as a disciplinary measure is often at the whim of prison guards, who can discipline an inmate for the most minor infraction. As the use of mass incarceration surged in recent decades, overfilling prisons with criminals and the mentally ill, solitary confinement has grown in use as a way for guards to exert control. There is evidence that people of color, Latino and LGBTQ populations are disproportionately put into isolation. All of it comes at tremendous cost, both to the individuals and to society. People with various forms of mental illness may act out in prison and be shuttled into isolation, which is likely to exacerbate their problems. And far too many prisoners are released from solitary directly into freedom. That’s a danger to communities. Those with aggravated mental illness, or who suffer various forms of post-traumatic stress disorder, can often barely function when sent to the outside world. In addition to their suffering, we may all pay a price for crimes they commit or the inordinate amount of resources needed to treat their illness and transition them into society. The governor’s own plan, likely influenced by pressure from the corrections officers’ union, involves a phase-in period. Inmates could be held in solitary for a maximum of 90 days starting in April 2021, 60 days starting in October 2021, and 30 days starting in April 2022. That step-down process seems excessive. The HALT Act, by contrast, would restrict solitary confinement to 15 consecutive days, or 20 in any 60-day period, effective immediately. That should be the starting point for negotiating a new rule. It’s time for New York to end the madness.